The Radeon RX 570/580 successors are rumored to feature 12 nm Polaris 30 cores with increased frequencies, but same 8 GB GDDR5 VRAM. Performance-wise, these new models will most likely not be faster than the Vega 56/64 cards and will go head to head with Nvidia's GTX 1060/1070 chips. While AMD is preparing to make the jump to 7 nm Vega and Navi GPUs in 2019, it looks like the red team still has some unfinished business on the 12 nm node. Previously rumored to be launched in late 2018, a refresh for the Radeon RX 570 mid-range GPUs is now rumored to be dropping in mid-October, while the RX 580 successor should be launched in November. 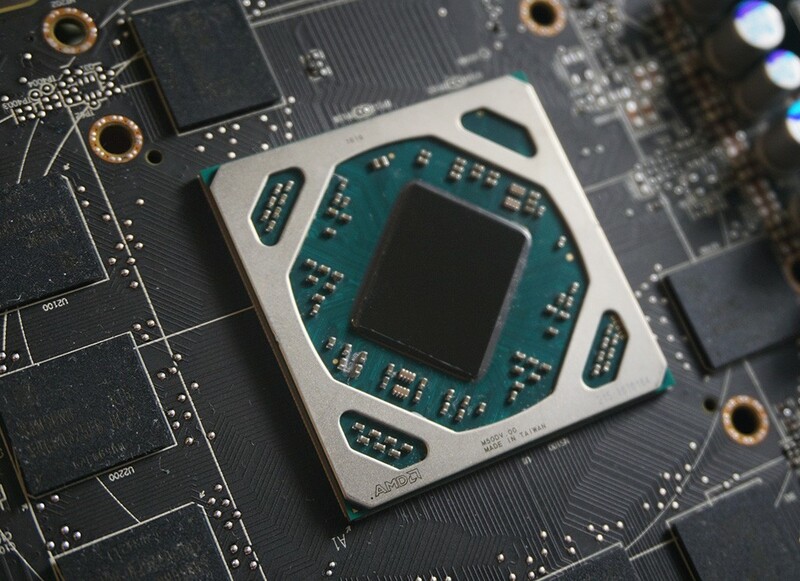 Chinese sources close to PCOnline and ChipHell claim that the Polaris 30 refreshes for the current RX 580 GPU will integrate 2304 stream processors, whereas the RX 570 successor would still get 2048 stream processors, but the new GPUs would get higher clocks thanks to the improved 12 nm process. Both cards will feature 8 GB of GGDR5 VRAM with 256-bit bus interface. Since these will replace the existing RX570/580 models, performance would most likely be on par with Nvidia’s GTX 1060/1070 models, and pricing is expected to land in the US$200 sector. These new mid-range cards could be facing serious competition from Nvidia’s side, since the launch of the new Turing GPUs triggered substantial price cuts for the GTX 1000-series. AMD’s best bet is still with the 7 nm Navi GPUs, but we’ll have to wait until mid-2019 for those, by the looks of it.